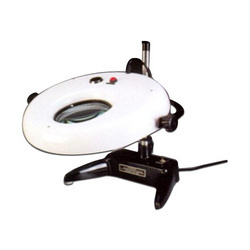 We are one of the prominent names engaged as view magnifiers manufacturers and suppliers. Our forte lies in providing premium quality magnifiers that are widely used for getting a clear view of minuscule items. Use of top-notch quality material ensures precision viewing and we also make sure that all the industrial norms are duly followed while production process. We are engaged in manufacturing, supplying, trading and importing a comprehensive range of Electronic Machines. Our products encompasses Premier 1001 D, Premier – 901 D, Premier – 902 D, Premier – 909 D, Premier - 999, Premier – 504 D, Premier – 809 D, Premier – 603 D, Premier – 501, Magnifiers, Desoldering Nozzles and Soldering Bits. These products are highly acknowledged by our clients for their excellent quality and various features. Our product range finds its wide application in various areas such as telecommunication industry, scientific research institutes, solar systems and electrical & electronics industry. Further, we also offer OEM services to our clients. We offer Electronic Machines like Digital Soldering Station, Desoldering Station, Table Top PCB Rework Station, SMD Rework System, Thermal Wire Stripper, Industrial Magnifiers, Soldering Accessories, Desoldering Nozzles, Soldering Bits and other Variegated Products. With our domain expertise in this field, we have gained a rich clientele spread across the various regions of the country. Our client-base includes prominent names of both government and private sector. Some of them are AIR, Doordarshan, Telephones, Indian Army, Air force, Navy, ISRO, NRSA, BARC, Godrej, Videocon, SRV Telecom, JAS Telecom, VXL, Sabnife Power and Systems.